I have always believed that we possess the power within us to do wonders. It is just a matter of time that we unearth those powers and unleash them to get the desired results. I had read about the chakras very much in our ancient scriptures. This prompted me to try reading this book and understand the power I was holding within me. Genevieve Lewis Paulson is the director and president of Dimensions of Involvement, Inc., a non-profit growth center located on 165 acres of the Ozark mountains in Arkansas, a center of psychic, personal, and spiritual learning, accrediting students in the study of Kundalini energy development. In the early 1970s, she founded Sunergos, Inc., a spiritual growth center in Chicago. Where her new experiences might have led her to abandon Western religious beliefs, she instead found a method to meld two varieties of truth, creating a synthesis of two great traditions of belief. Having food for our body, working out, reading good things for mental health and doing yoga for emotional health – all this is very important for our well being. Like ways deep spiritual health needs to be tendered to with meditation and reading such good books which guide us towards the inner self cleansing. 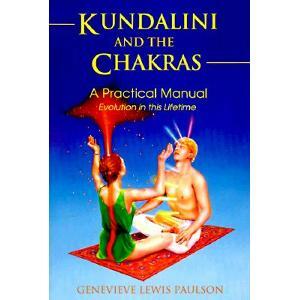 This book is a detailed informative one on the Kundalini and the chakras we all have in our bodies. The author has not only explained it in very layman terms but has also suggested various exercises which one must do in order to strengthen, awaken and then make the most of the chakras. The author has done a very good job is putting all the information in a manner that any person who is interested in knowing about kundalini and chakras will be able to understand, decipher and make the optimum use of the available knowledge for the benefit of their own self. It surely is a recommended must read for people looking for some spiritual and holistic experience. 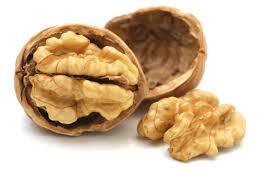 This book is like walnut – Good for the mind, with an earthy feel to it. P.S This book has been received from Jaico for review.